Jennifer saw this one and had to try it. 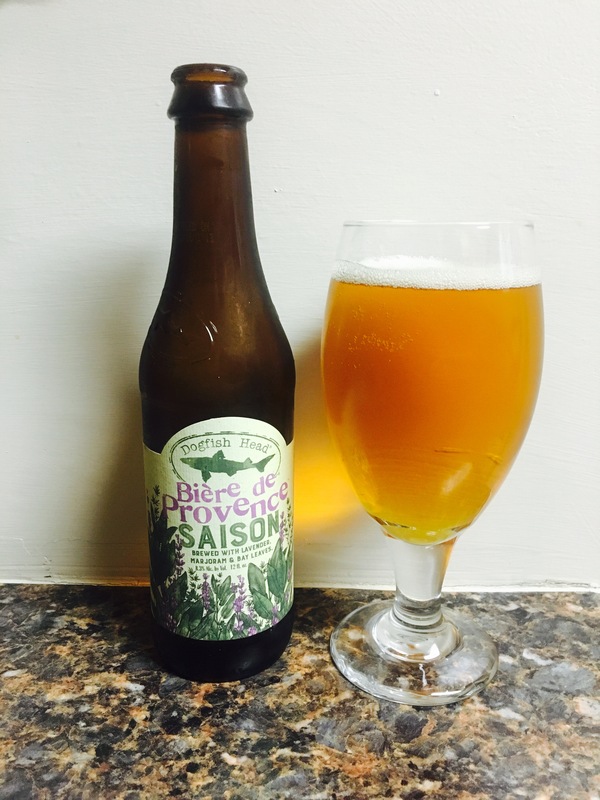 Dogfish head brewery has put out a limited seasonal beer with an 8.3% Alc content. It’s “inspired by the fields of Provence”, brewed with lavender, marjoram and bay leaves. The color is gold and full, their is no strong floral scent as claimed. The taste…slightly sweet, herbal, mostly the bay leaves. A dryness to the aftertaste with a hint of lavender. I would classify this is more of a “woman’s” beer due to the flowery taste. The bottle is pretty as well, just don’t tell them it’s high alcohol content and it should be a good night for all! 3.5 stars, enjoy.